Charles Buck draws on three decades of study, practice and teaching in this book to provide a relevant and engaging account of the origins of acupuncture and Chinese medicine. From its pre-Han dynasty roots to Chinese medicine as we know it today, Buck covers the key texts, the main scholars and the concepts they have contributed, emphasising those that are more relevant to clinicians wishing to understand the authentic tradition. The information presented is based on diverse sources including original translations of Chinese sources and interpretations of the work of many prominent medical sinologists. With Buck's lucid and engaging style, Roots of Modern Practice provides an accessible and authoritative resource that will help practitioners and students deepen their understanding of this great medical tradition. A practical and modern appreciation of China's medical wisdom, this book will be of great value to students and practitioners of Chinese medicine and acupuncture, and anyone interested in the roots of this time-honoured medicine. Since school, I have always loved and valued history. History gives us context and helps explain where we and many of our ideas, behaviours, beliefs and prejudices come from. Without knowledge of history we are disconnected, condemned to act in ignorance, with a diminished ability to weigh and judge information and make informed decisions. If we practise Chinese medicine, there are even greater incentives to know our history. Without it, like the blind men and the elephant in the Indian story, we risk knowing only one part, one school, one method of practice, asserting that Chinese medicine is the trunk, no it's the tail, no it's the tusk! Without intellectual curiosity, and the means to provide the answers that this book so splendidly offers, we do not know why we take the pulse in this way, select these points, understand disease from this perspective. Are some of our fondly-held beliefs part of a rich and long tradition, or are they recent? If recent, are they the fruit of meticulous study and clinical observation or derived from wishful thinking, misunderstanding of the tradition and borrowed ideas from other forms of medicine? Should we fear that our cleaving to such an ancient form of medicine is an embarrassing anomaly or can we be proud that we are the inheritors of one of the most extraordinary traditions of scientific discovery in history? There are many clinical and theoretical books on Chinese medicine written by practitioners who may only have a passing knowledge of history. There is also a growing number written by sinologists with a profound knowledge of history yet scant clinical experience to help evaluate its relevance to practitioners. Here, however, is history written by a practitioner with decades of clinical experience, someone who is uniquely qualified to present this history in a way that is of immense benefit to the profession. It is for that reason that everyone with a passion for Chinese medicine should read this book. Roots of Modern Practice is a chronological account of the development of Chinese medicine from its mythical origins in pre-history to the modern day. Just about every one of its 350-odd pages page held revelations for this reviewer who has been studying Chinese medicine for forty years. So here are a few fruits plucked from its laden branches – brief tales that fascinated me, although it would have been easy to write several reviews and pick different ones each time. • As early as the Zhou court (11th century BCE to 3rd century BCE) medical specialisation already existed, with two dietary specialists (upper masters), eight general physicians (middle masters) and eight surgeons (lower masters) as well as additional veterinary specialists. • 'Sagely action' – the ability to act wisely in the early stages of a process with 'subtle but perfectly pitched interventions' – was a skill esteemed among pre-Han (i.e. pre 3rd century BCE) military strategists and political advisers. It was an approach that integrated smoothly with early medicine, where small changes in the bodily landscape could be carefully observed in order to understand what disorder lay hidden and how it might be rectified in its early stages. Later, in the Han dynasty itself, close diagnostic inspection of the complexion was linked to the skills of face-reading used by court officials to sense potential wrongdoing and intrigue, both within the court and when dealing with visiting ambassadors. • The case histories of Chunyu Yi, an early Han dynasty doctor, illustrate the development from simple identification of disease (bianbing) to further sub-categorising its presentation according to pattern differentiation (bianzheng). Several centuries later, the Tang dynasty Zhubing Yuanhou Lun (Treatise on the Origin and Symptoms of Disease) emphasised the importance of both disease and pattern differentiation as 'parallel models serving medical practice'. Despite this, I have heard countless Chinese medicine students and practitioners assert that Chinese medicine does not diagnose diseases. • The idea that the Neijing theory of wei (defensive) qi and ying (nourishing) qi co-ordinating to defend the body from exterior attack derived from military thinking. The wei corresponds to the yang/aggressive frontier defence force which has to be supplied by adequate yin nourishment ('an army marches on its stomach') in order to function. • During the Tang dynasty (7th to 10th centuries CE), Chinese medical and scientific writings were translated into Arabic, influencing the great flowering of Islamic science during its Golden Age (8th to 13th centuries). The great Persian doctor Ibn-Sina (Avicenna) used the Zhubing Yuanhou Lun (Treatise on the Origin and Symptoms of Disease) and Wang Shuhe's Mai Jing (Pulse Classic) as major sources when writing his Canon of Medicine, which subsequently became a required text in European universities until the 18th century. Through this indirect route, Chinese medicine therefore played a significant role in the development of European medicine. • The Taiyi Shu (Imperial Medical Service) – the world's first state sponsored medical school – was established in the early seventh century. It had four departments: internal medicine, acupuncture, massage-traumatology and incantation. The internal medical training lasted seven years with sub-specialities in subjects such as paediatrics, surgery and ophthalmology. Admission was by examination and courses were taught by professors, lecturers, practical teachers and assistants. Students sat monthly exams marked by professors, quarterly exams marked by imperial physicians and annual exams marked by the highest-ranking imperial consultant. Any student 'whose knowledge and skills exceeded those of his tutors' could be invited to replace the tutor. Acupuncture students studied channels and points, pulse and palpation diagnosis, reinforcing and reducing needle techniques, the importance of diagnosing shi and xu conditions of the five zang and many other subjects that make up the curriculum in acupuncture schools today. • The incomparable 7th century 'god of medicine', Sun Simiao, among his numerous achievements, was able to explain that diseases such as cholera and dysentery were not caused by malevolent spirits but by contaminated food and water, and advised the disinfecting of wells. It was not until mid-19th century Europe that Dr. John Snow 'discovered' the link between cholera and contaminated water. The author further writes, 'Sun treated goitre (ying disease) with seaweed and shellfish, and advocated that these be transported to inland and highland areas where iodine deficiency goitre was endemic. For other thyroid deficiencies he prescribed preparations made from animal thyroid glands, and for poor night vision he recommended increased dietary intake of liver. To treat beri beri he used substances now known to contain high levels of vitamin B …'. • In the 11th century, Wang Anshi, a Song dynasty minister, introduced state regulation of the medicine trade, with the aim of ensuring universal standards and making cheap medicine available to the general population, rather than remaining the preserve of the wealthy. Within three decades, state medicine shops had spread through much of China. 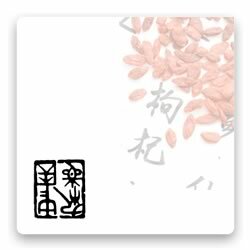 One great innovation was the sale of pre-prepared medicines, explaining the many Song dynasty formula names that end in 'san' (powder) or 'wan' (pill). More efficient extraction and less wastage helped reduce the price of medicine and increase shelf life. Pharmacists were able to advise patients which classical prescriptions to use, improving access to higher-level medicine and providing essential assistance during epidemics. • Kou Zongshi, in the early 12th century, wrote, 'In treating disease there are eight necessities … that, if ignored, will prevent effective treatment … Careful regard to these is essential if mistakes are to be avoided. The first is xu … the second is shi … the third is cold … the fourth is heat … the fifth is xie … the sixth is zheng … the seventh is internal … the eighth is external.' This laid down the framework for bagang – differentiation according to the eight principles - which is one of the cornerstones of modern Chinese medicine diagnosis. • Zhang Congzheng, who lived from 1156 to 1228, emphasised the necessity of identifying pathogenic (xie) qi if it was present and the use of specific treatments to expel it. In doing so, he countered the approach of his contemporaries who defined disease simply as an imbalance among the zangfu that only required a redistribution of qi – a notion that is still popular in some acupuncture schools today. • The 17th century doctor Chen Sicheng devised external mercurybased treatments for syphilis. His use of mercuric chloride ointment became so popular with Western sailors they took it back to the West. Unfortunately Western physicians decided the treatment would be more effective if taken internally, resulting in numerous deaths from poisoning. • During a period marked by outbreaks of epidemic disease, 17th century doctor Wu Youke developed the theory of liqi (pestilential qi), a pathogen different from the six environmental pathogens. Two hundred years before the West, he described virus theory in all but name as, 'imperceptible, invisible, silent and odourless', invading the body via the nose and mouth, transmitting from infected person to person, contracted irrespective of the state of a person's qi and manifesting with more or less the same symptoms in everybody it affected. • Modern practitioners owe a huge debt to Cheng Danan (1899 – 1957). He helped rescue acupuncture and moxibustion from a long decline that began in the early 19th century when acupuncture was banned from the imperial court and its teaching removed from the imperial college curriculum. For various reasons, the status of acupuncture fell so low that its use was mostly confined to poorly qualified wandering doctors working in poverty-stricken rural areas. In the early 1930s, Cheng founded an acupuncture college, published a textbook written from a more modern perspective, and helped establish the vigorous lineage that is often referred to as TCM acupuncture. When the Communists came to power in 1949, he was influential in pressing for acupuncture to become part of the medicine of new China. Viewed from the perspective of this wonderful book, Chinese medicine welled up as a spring, three millennia or more ago. It developed into a stream, then a mighty river that gave birth to numerous branches, lakes and reservoirs. In its practice today, all these branches are represented, from the followers of its most modern incarnation known (often dismissively) as TCM, to the Shanghan Lun or Neijing aficionados, the delicate Japanese styles which owe much of their character to those prevalent in China when they were transmitted to Japan, the cheap and cheerful itinerant doctortype treatments of 'working class acupuncture', and so on.